The Insight Pack is Hosed, OR IS IT ? How bad could the Insight pack be? Insight Battery Bad, Again !! Sometimes the Insight NIMH packs need some more attention. I was seeing that there were recalibrations on the pack occurring every few days. So it needed attention. Then one day the IMA light came on. So It was time to remove the pack and start testing it. Here is a link to Metrompg’s spreadsheet of detailed test data for his Insight pack that inspired the format of my spreadsheet. This is the pack with the cover and carpet removed. 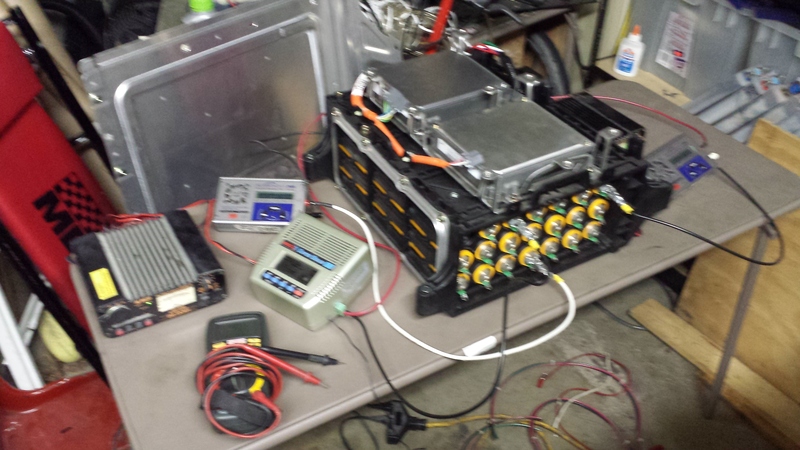 Here are the 3 charger/dischargers and the 2 power supplies used in the testing of all 20 sticks. One of the chargers is a MRC Super Brain 989. The other 2 are Super Nova 250’s. After the pack was tested and all of the sticks were brought back to normal, I equalized the pack with a variac for 15 hours on 175vdc, then at 177vdc for a few more hours. 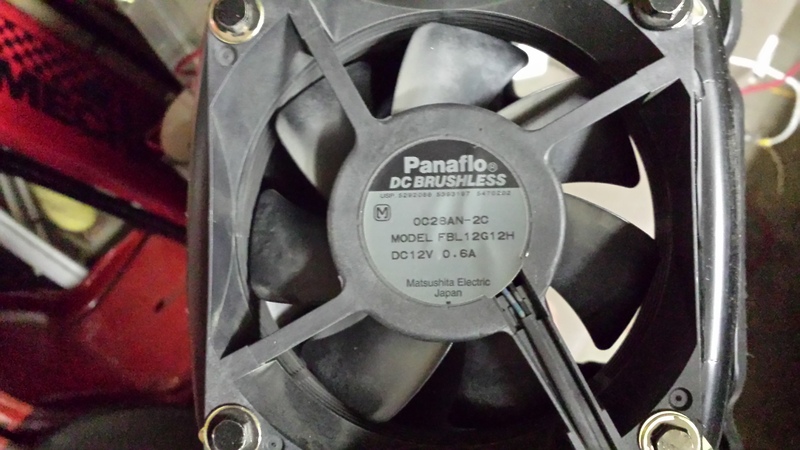 The fan was run on 13.8vdc during equalization. Then the pack was re-installed. 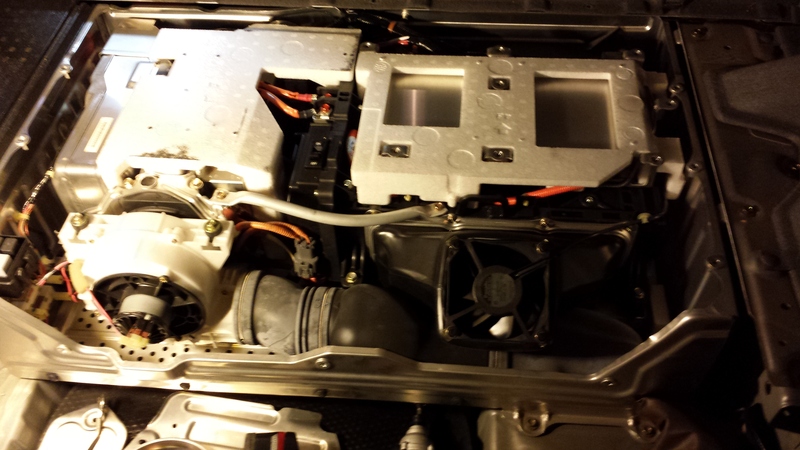 It’s tough to see the gray duct tape under the 2 fan resistors that is used to cover the sharp edges of the sheet metal. 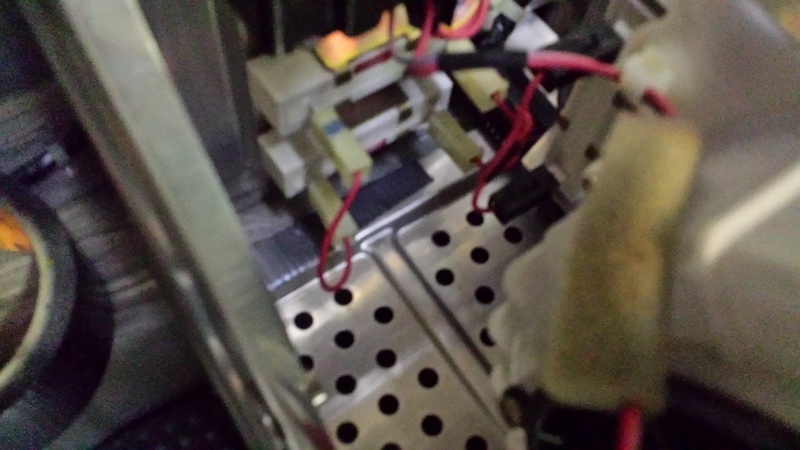 This is where the 2 wires pass through to the outside that carry full pack voltage. 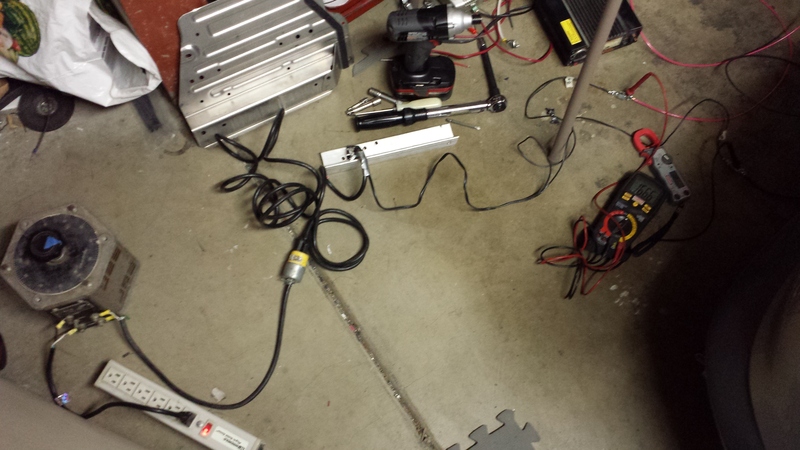 Eventually they will be connected to a constant current grid charger that I plan to leave mounted inside the car. This is the cooling fan for the pack. It pulls air through the pack.